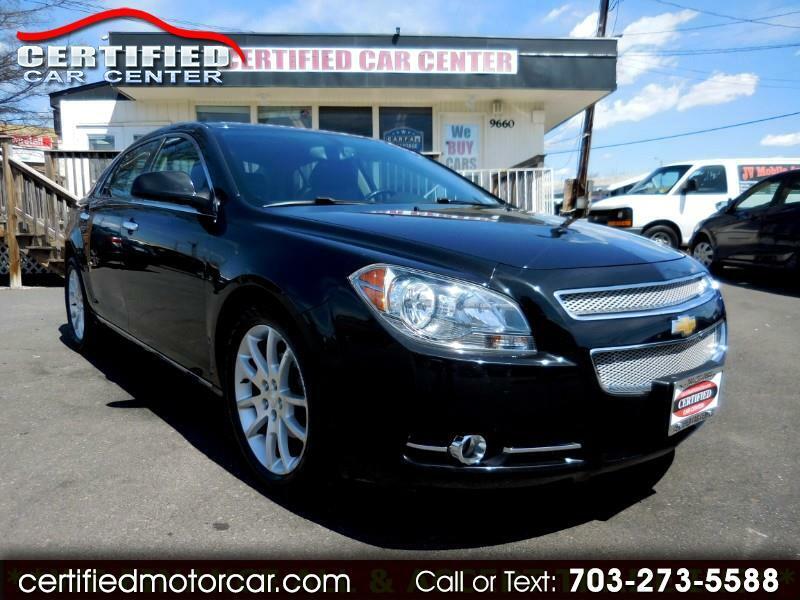 **LOW MILES** SUPER CLEAN 2012 CHEVY MALIBU LTZ BLACK ON BLACK ON OUR WEEKLY SPECIAL WITH:**SUNROOF**, **LEATHER**, **BLACK ON BLACK**, **HEATED SEATS**, **LOW MILES**, **ALLOY WHEELS**, **AUX JACK**, **WEEKLY SPECIAL**, **ALL POWER OPTION**, VA INSPECTED, CARFAX CERTIFIED, SERVICED AND BACKED BY WARRANTY AT OUR FIRM CASH ASKING PRICE $6965.00 PLUS $395 PROCESSING FEE Open Mon-Sat 10:00 to 7:30 PM and Sundays 12:00 to 4:00 PM. Internet Prices are based on cash or cashier's check. Our Internet price does not include a $395 Processing fee, Tags, title and FINANCE FEES! WE PROVIDE FINANCING FOR EVERYONE. Perhaps the only thing more breathtaking than the pristine condition of this vehicle will be our low Price. We are Open Mon.-Sat. 10 to 730 PM and Sundays 12-4 pm. Our Internet Prices are based on cash or cashier's check. Our Internet price does not include a $395 Processing fee, Taxes, Tags, title and FINANCE FEES. Message: Thought you might be interested in this 2012 Chevrolet Malibu.